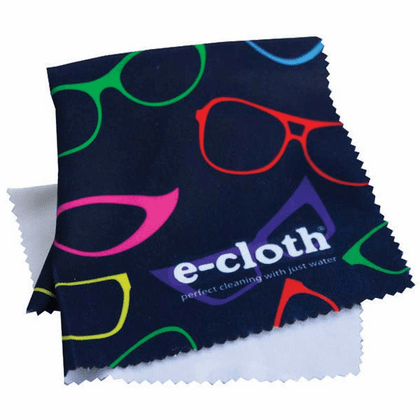 The Glasses Cloth is designed specifically to clean eye glasses, camera lenses, copier glass and other optics that have protective coatings. Because of the softness of the cloth the lenses and coatings are protected while cleaning. The result is spotless lesses and long lasting results.